With a little help from artists, storytellers and other experts, McMaster Life Sciences students learned to flex their creative muscles and tell science-based stories of their own as part of an innovative new course developed by McMaster University Library's Abeer Siddiqui and the School of Interdisciplinary Science. Life Sciences students try their hand at creating a children's book as part of an innovative new science communication course, Life Science 4N03 – Science and Storytelling. When you hear the term “science communication” children’s books, oral storytelling and graphic novels may not be what immediately comes to mind. 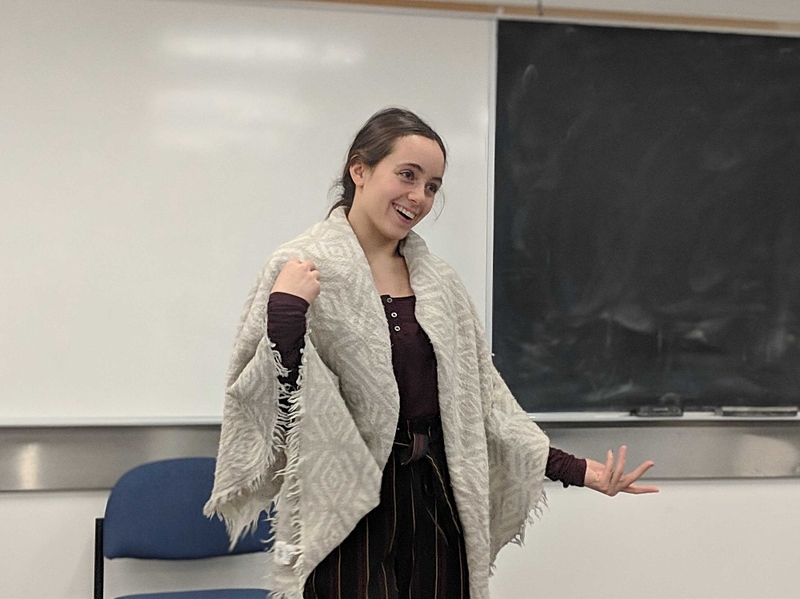 But, with help from artists, storytellers and other experts, McMaster Life Sciences students recently learned to look beyond traditional forms of science communication – like articles and press releases – to explore the power of narrative and try their hand at creating science-based stories of their own. It was all part of LIFESCI 4L03: Science and Storytelling, an innovative new course offered for the first time this fall by McMaster's School of Interdisciplinary Science (SIS). “In our conversations with students we were finding that a lot of them had creativity in them, but they didn’t have a space to express it. We came up with this course to give students that opportunity and to give them the chance to learn and get feedback from storytelling experts.” says Abeer Siddiqui, an adjunct lecturer in SIS and a learning support librarian at McMaster University Library, who designed the course with co-instructor Katie Moisse. Throughout the fall term, Moisse and Siddiqui brought in a range of guest speakers from the Hamilton community and beyond who introduced students to many forms of storytelling, including graphic novels, multimedia storytelling, science journalism and children’s literature, among others. 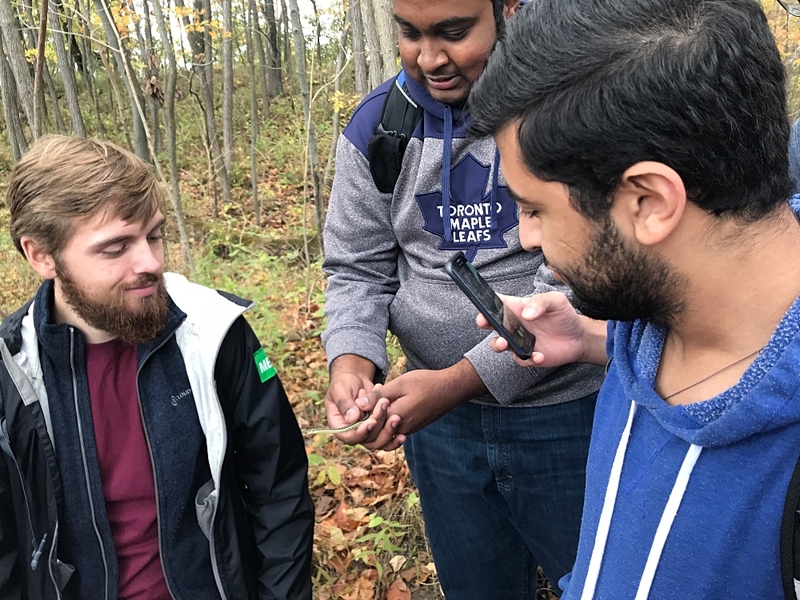 Students participated in a nature walk through Coote’s Paradise to learn about how the land can hold and tell stories, and heard from McMaster’s Ellen Amster, an historian and associate professor in the department of Family Medicine, who spoke about how science fiction, such as novels like Frankenstein, can reflect cultural anxieties around scientific innovation. McMaster’s rare books librarian, Myron Groover, spoke to students about how scientific narratives have been shaped throughout time by the gender, racialized or cultural voices that have been included – or excluded – from the historical record. Students also experimented with oral storytelling, guided by Hamilton storytellers Colleen Gaffney and Lisa Hunt from Steel City Stories. For their final projects, students created stories using a range of forms, from short stories and documentaries to social media campaigns and podcasts. Students even had the opportunity to present their work at a public exhibition. Fourth-year honours Life Sciences students Victoria Di Felice and Zoe Bustard say taking the course has changed the way they think about communicating science. 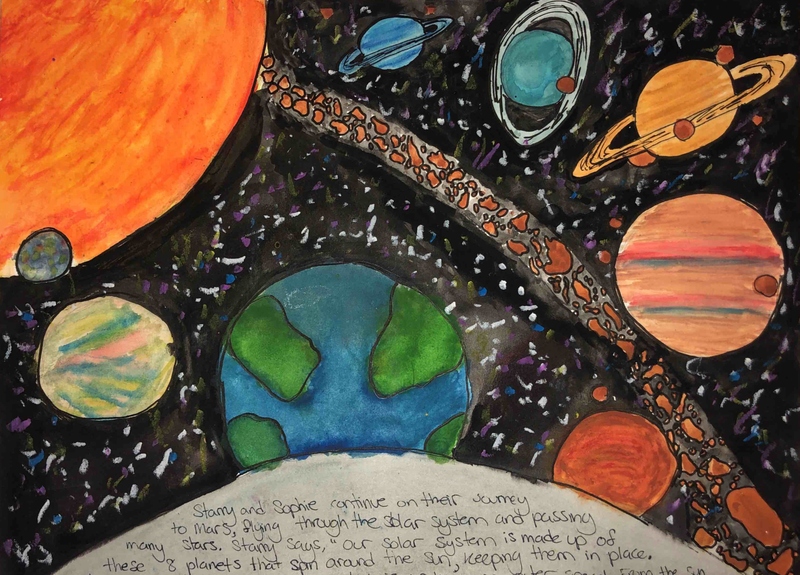 A page from student Zoe Bustard's children's book, Sophie's Journey to Mars. Di Felice, who, for her final project, produced a half-hour documentary on type 1 diabetes and its impact on those living with the disease, agrees. Teaching students to hone their science communication skills is a key priority of the School of Interdisciplinary Science. 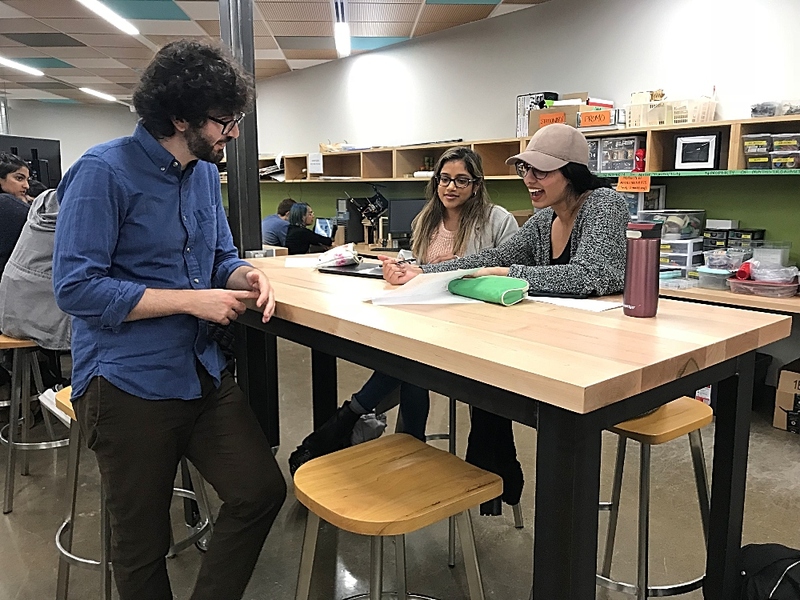 Moisse and Siddiqui say they were inspired by the stories created by their first cohort of students and say some students have since expressed interest in learning more about this unique form of science communication.